Makes sense. She has a lot of hits. The challenge will be to narrow down which ones to sing along to. But also? She has a lot of feelings. She has ALL the feelings. And the challenge in that case is that you cannot contain those feelings in a vehicle. Why would you want to do this? Why would you want to restrict her motion? Why would you keep her inside of a car when she could be flailing and lunging and thumping her chest in wide open water? Maybe not that wide open. But a fountain? She can make it work in the fountain (on the fountain? at the fountain?) at the Bellagio. For the biggest hit especially. Because you can’t make her sing "My Heart Will Go On" in a f-cking car. Spoiler alert – here’s what that looked like. They even brought out the necklace. You know what kills me about this though? It’s James’s wig. His floppy hair Jack Dawson Leonardo DiCaprio wig for the role that Leo will eternally be embarrassed about. 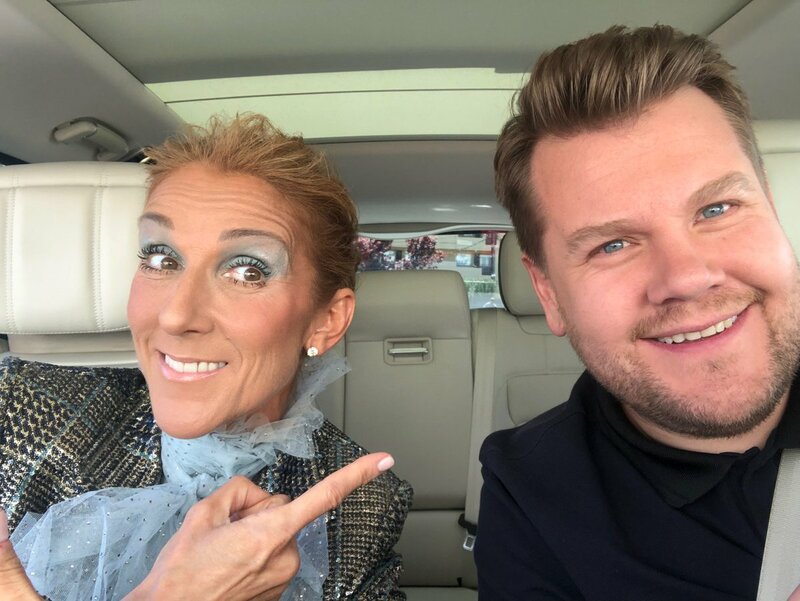 Which is the one feeling that isn’t part of Celine Dion’s Library of Feelings. She doesn’t know embarrassment – AND WHY SHOULD SHE? When everything comes from the heart, as it does with her, there is no need for embarrassment. 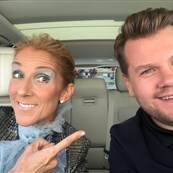 I’m going to watch the sh-t out of this Carpool Karaoke.